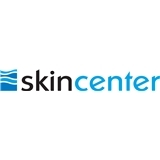 Skin Center (Fort Lauderdale) - Book Appointment Online! Skin Center employs state-of-the-art technology backed by over 35 years of experience in dermatology. Barry I. Galitzer, M.D. and Sari M. Fien, M.D. both of whom are fellows of the American Academy of Dermatology, members of the American Board of Dermatology and recognized leaders in their respective specialties. Skin Center is a full service practice, providing skin cancer diagnosis and treatment, cosmetic dermatology and medical dermatology. Our comfortable and luxurious 7000 SF office includes 13 private treatment rooms and an on-site laboratory. Skin Center is located in East Fort Lauderdale on US1 just North of Imperial Point Medical Center. Very helpful professional staff. Dr. L. took her time and answered all my questions. Would definitely recommend. Dr Fien was professional, answered my questions and I came away feeling good.